Hey guys, it’s that time once again where we need some help from you all. We are working on a handful of projects behind the scenes and are on the cusp of starting several other projects. However, we really need your help in accomplishing these goals and are looking for a few new staff members to join the team. Be sure to take a look at the Staff Openings page for more details on some of the positions and learn how to apply! A quick listing of the positions available can be found below. -Video Content Specialist: Transforms specific text guides into quality videos. The above positions are the specific spots we are looking to fill. However, we have a very minor need for an additional news correspondent as well. Additionally, if there is something you’d like to contribute to the website that isn’t listed, feel free to contact us! We’re always looking for new members to join our ever expanding team. PLEASE NOTE: Only apply if you are serious about wanting to contribute and can offer your services in a timely, mature manner. Thanks and I look forward to seeing what you guys have to offer! 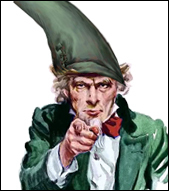 Remember, you can apply using the staff applications form on our Staff Openings page, or just directly e-mail me at webmaster@zeldadungeon.net.